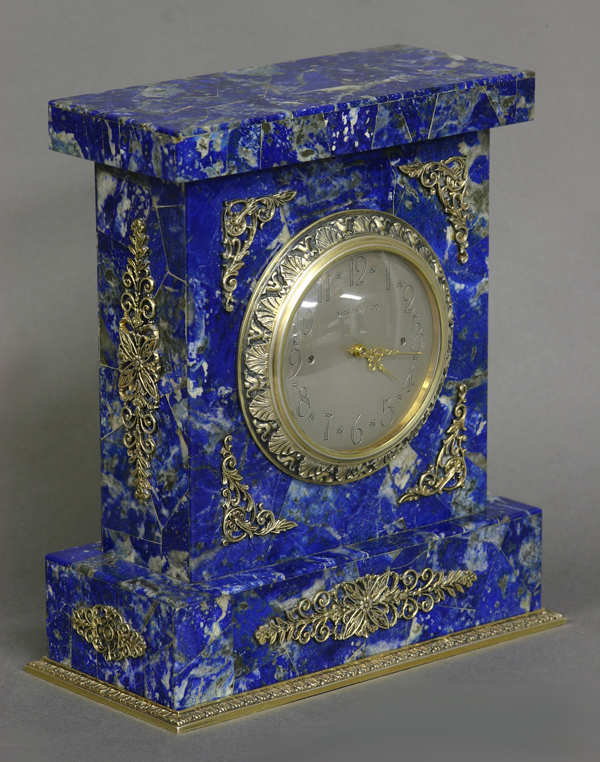 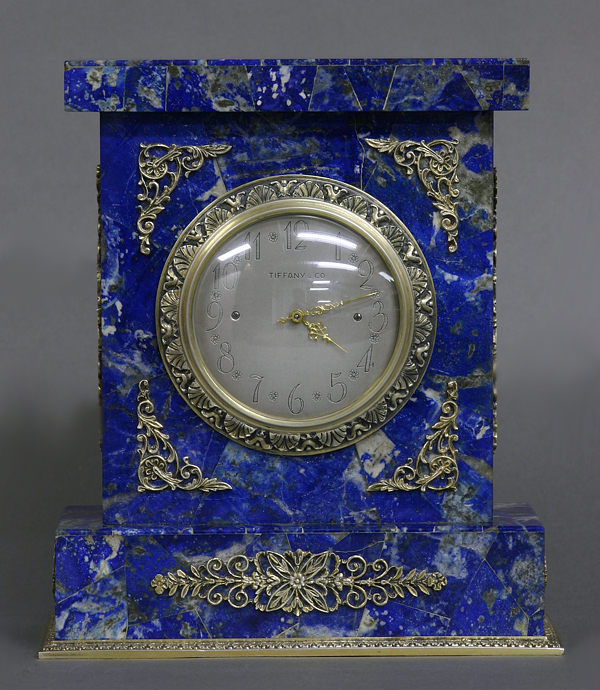 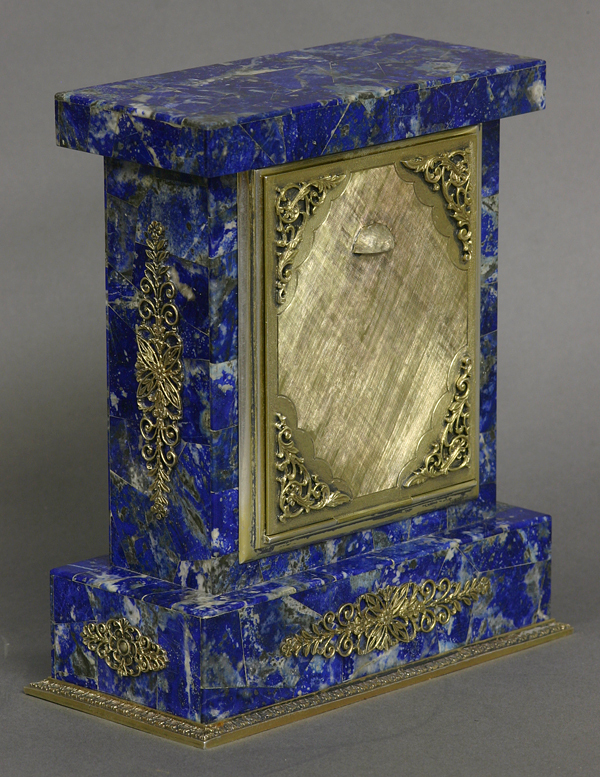 The rectangular Lapis case has numerous silver mounts that include cast appliques, bezel, base and a decorative back door that is stamped on the edge, ‘.925, Sterling, Made in Italy’. 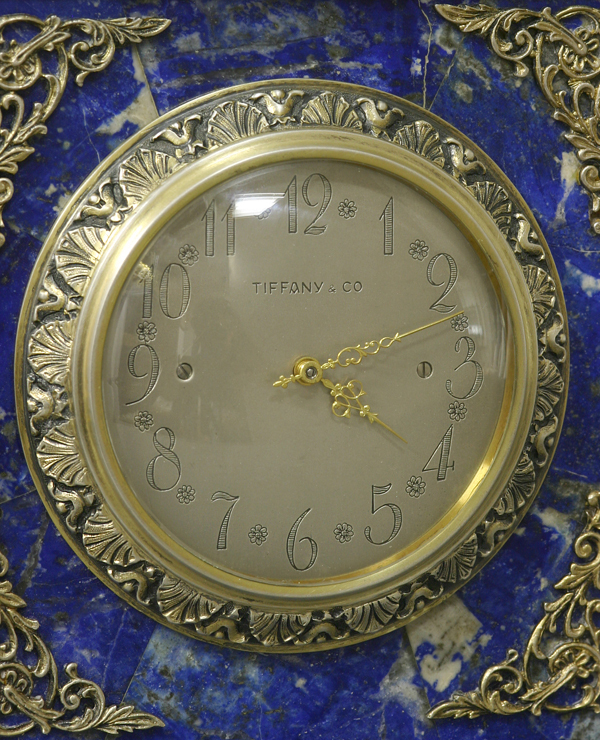 The engraved silver dial has stylized Arabic numbers for the hours, decorative gold hands and is signed, ‘Tiffany & Co’. 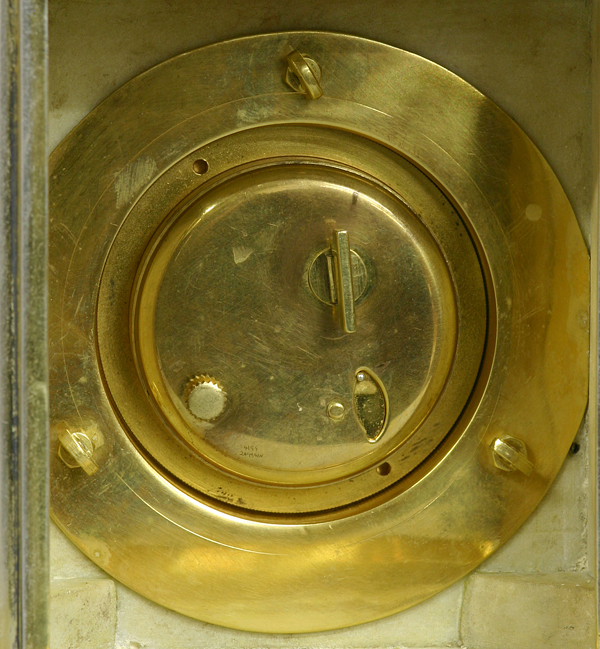 The eight-day time only watch movement is mounted by thumbscrews to the case and is wound and set out the back.